Not to be confused with Chinese New Year in Hong Kong, which is the biggest celebration of the year, western New Year's Eve in Hong Kong kicks off on December 31 and also sees its share of big parties and even bigger hangovers. If you're planning a trip to Hong Kong for the Christmas and New Years holiday season, you're sure to find plenty of fun events, great restaurants, and huge celebrations to ring in the new year. We share with you recommendations, from Hong Kong’s own Times Square event to some of the best clubs and five-star hotels that feature parties for the annual countdown. The good news for late night revelers is that the Hong Kong's public transit, the MTR, will run around the clock on New Year's Eve in the city so no matter how late you're out, you'll always be able to make it back to your accommodations. Like its inspiration in New York, Hong Kong’s Times Square mall is the focal point for those who want to join a crowd as the clock ticks down to 2019. Causeway Bay’s top shopping stop sits right on top of the Causeway Bay MTR Station (affording instant accessibility). You can browse through its several floors and over 200 stores for gifts and specialty goods before joining the crowds to count down to the new year. There will be live music and entertainment before 2019 rolls around. Be forewarned, the crowds are immense and you should leave yourself around an hour to reach the center of the celebrations. The earlier you go, the better. Arguably more enjoyable than the Times Square mall celebrations, the New Year's Eve fireworks over the buildings of Hong Kong Island are truly spectacular. The fireworks begin about two hours before midnight, taking over ten minutes to crescendo to a ​dazzling climax. A warm-up concert near Tsim Sha Tsui Star Ferry Terminal kicks off the proceedings at 10 p.m., leading to small fireworks blasts at 11 p.m., shooting up in 15-minute intervals from skyscraper rooftops. Finally, the main act illuminates the sky just before the stroke of midnight, accompanied by a grand musical soundtrack and a LED billboard on the Hong Kong Convention and Exhibition Centre that flashes good wishes. To view the fireworks from land, the perspective from the Avenue of Stars in Tsim Sha Tsui and Golden Bauhinia Square in Wan Chai are equally impressive. There is no need to squeeze in with the crowd at the water's edge, the view is expansive enough that you'll get a good view wherever you stand. Another fantastic option is to look down on the fireworks from The Peak. But nothing beats the view from a cruise right on Victoria Harbour. The New Year fireworks are best viewed from Victoria Harbour on one of the all-inclusive food and drink cruises. The most spectacular skyscraper skyline in the world is the backdrop for a glittering light, sound, and fireworks show. The motorized cruise boats sail up to five hours on the water, offering an ideal vantage point to see the fireworks against the Hong Kong skyline. But you don’t just get a view, you enjoy a buffet dinner, drinks, and pleasant, relaxed company far from the crowds on the waterfront (cruise boats accommodate up to 55 guests, no more). Children under two years of age are not allowed on the cruise. A focal point for the city’s revelers, New Year's Eve is the biggest party of the year in Lan Kwai Fong. Most places will be asking for a hefty cover charge for "all-in" deals—as in you basically give them all your money and in return, you enjoy a buffet and free drinks. Again, the crowds here can be suffocating, but if you’re with a group and intent on having a good time, the streets and bars on Lan Kwai Fong are your best bet. In Tsim Sha Tsui try the fantastic cocktails and views at Aqua, while the Pawn offers the best of the parties in Wan Chai. One suggestion is to buy a few beers from the nearby 7-Eleven and just drink them on the street, which is where the best action will be anyway. If that's not for you, the big-name party venues include Dragon-I and Stormies. If you are looking for something fancier on New Year's Eve, most of the city’s luxury hotels will be laying on equally luxuriously set dinners, but these will not come cheap, and you can expect to pay around $100 at the bottom end of the scale. What you will get is a fine meal, usually free drinks, and often-exquisite views of the harbor fireworks without having to suffer the crowds. 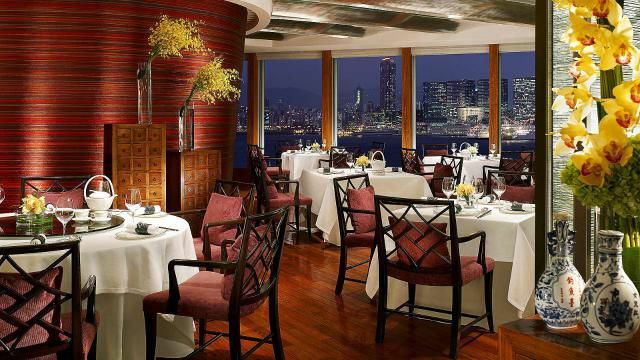 Some of the hottest tickets in town include the Grand Old Dame of Hong Kong hotels, The Peninsula, and the Four Seasons whose restaurants have been collecting Michelin Stars in recent years. If you want something that's still pretty fancy but doesn't hit the wallet as hard, try The Excelsior in Causeway Bay.